not come across this brand before but the packaging was too cute to ignore and I quickly went to check out their website. 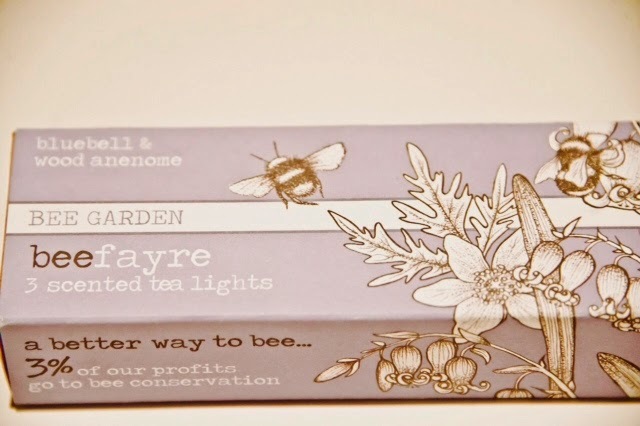 Beefayre are a UK based company who donate 3% of all profits to bee conservation. 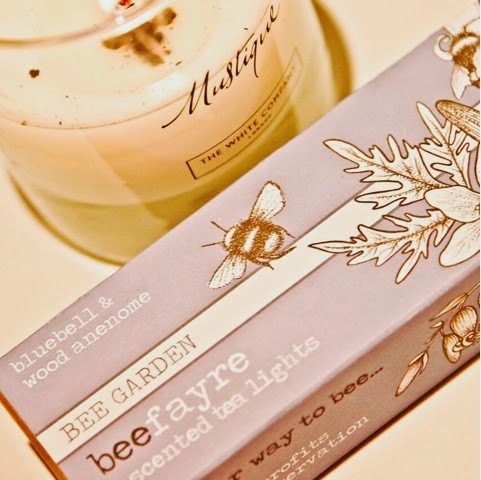 Right at the heart of their mission is a desire to conserve nature and that is reflected in their beautiful designs on their candles, health products and homeware- to name but a few of their range products. 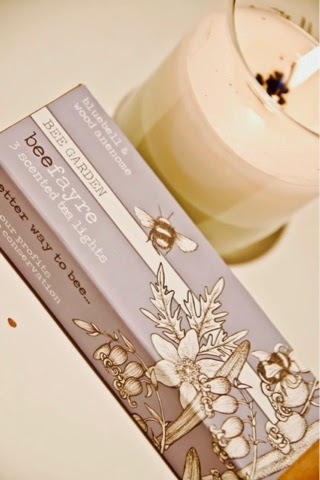 These tea light candles smell quite amazing. They really remind me of the warm summer months and I can't wait to light them and enjoy whiling away some evenings when the days get a little longer here in England. I hope you're all having a lovely evening- almost the weekend now!